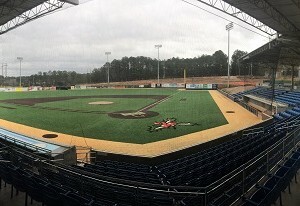 The National Club Baseball Association is excited to announce that the 2019 NCBA DI World Series will be heading back to Ting Stadium in Holly Springs, North Carolina. The eight DI Regional Playoff Winners will compete in this prestigious tournament with the winner being crowned the 2019 NCBA DI World Series National Champion! Official Title Sponsor: GMA Supply. The National Club Baseball Association, thanks GMA Supply for their support of the 2019 NCBA Division I World Series. Without their support this event would not be possible! Official Photographer: Richard Miller. The 2019 NCBA DI World Series will be the 3rd year in a row that Richard has served as the official photographer. You can check out all his work here. Photos of your favorite player and team will be available for purchase at the event. For more information about Holly Springs and the surrounding area and attractions, check out the official website of Holly Springs, NC. If your trip to the NCBA World Series requires you to fly, Raleigh Durham International Airport (RDU) is less than 30 min from Ting Stadium. Visit Raleigh-Durham International Airport for more details. Whether needing vans to get your team to the NCBA World Series or simply picking up a car at the Raleigh-Durham airport, consider booking with Avis, the official rental car sponsor of the NCBA. The NCBA is thrilled to announce that Homewood Suites in Cary, North Carolina will once again serve as the official host hotel for the 2019 NCBA DI World Series. Homewood Suites will house all eight World Series Participants. This beautiful, brand new property is only minutes from the field. They will offer our teams extremely discounted rates which include a complimentary breakfast and complimentary evening socials with free drinks and food. Homewood Suites is offering Teams a rate of $113/night (4 person max occupancy) and each room features a King bed with a Queen sleeper sofa and a full kitchen. 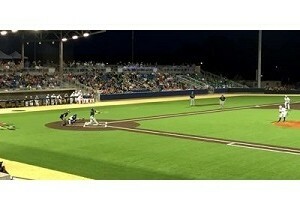 Once a team qualifies for the 2019 Division I World Series, a credit card authorization form and a rooming list template will be sent to them to fill out. Check out the official Press Release to see all the details! Multiple Group Blocks have been set up with hotel properties throughout the area. Both the DoubleTree and Hilton Garden Inn are located in same parking lot and they are just steps away from the official host hotel where the eight participating teams are staying at. The Hampton Inn and Suites in Holly Springs is a great option for fans wanting to be close to Ting Stadium being that it is less than a 10 minute drive to the ballpark. To book your rooms click on any of the links below or call the hotel directly and mention the specific group code. DoubleTree by Hilton Hotel Raleigh-Cary: 500 Caitboo Avenue, Cary, NC. 27518. 919-239-4777. Discounted rate is $119 per night. Block runs out on May 19th. Group Code: CBA. Hilton Garden Inn Raleigh-Cary: 131 Columbus Avenue, Cary, NC. 27518. 919-377-0440. Discounted rate is $119 per night. Block runs out May 19th. Group Code: NCB. Hampton Inn & Suites: 1050 South Main Street, Holly Springs, NC. 27540. 919-552-7610. Discounted rate is $119 per night. Block runs out May 17th. Group Code: NCB. Hospital – Western Wake Medical Center (WakeMed Cary Hospital) – 1900 Kildaire Farm Road, Cary, NC. 27518. 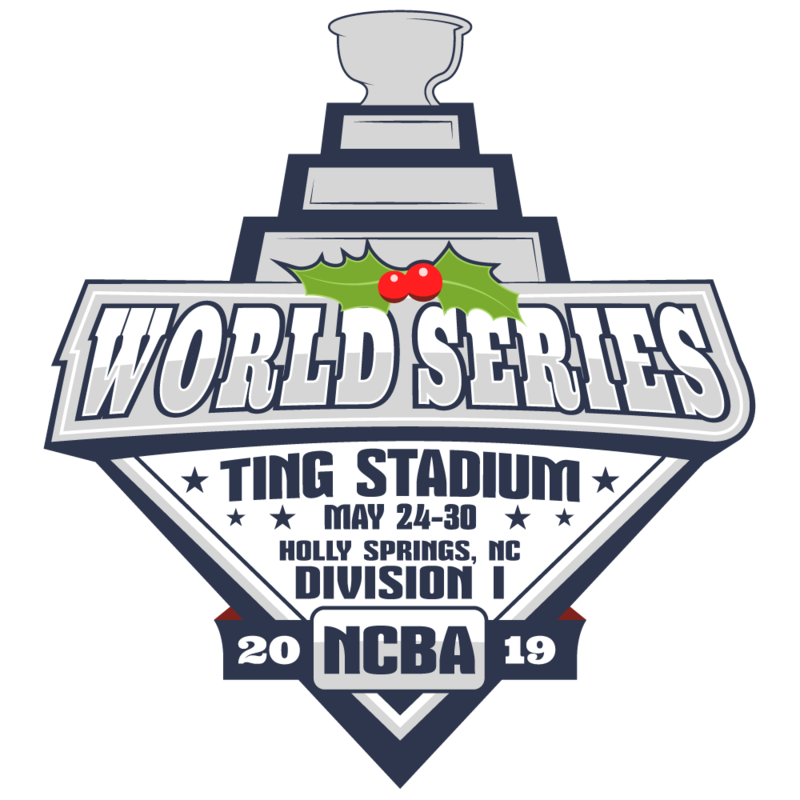 Tickets to the NCBA DI World Series will be available at Ting Stadium the day of the game. NO PRESALE. Prices for a day pass are $15 for Adults, $10 for Students, $5 for Seniors and Children 12 and under. Tournament Passes will also be available for purchase. Prices for tournament passes are $35 for Adults, $25 for Students, and $15 for Seniors and Children 12 and under. 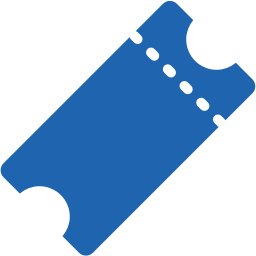 Ticket prices are subject to change. Visa, Mastercard, and Discover are accepted. The Official Game Day Program will be available for purchase on game days at Ting Stadium. While in Holly Springs enjoying the NCBA World Series, consider some of our recommendations of where to go for good food and good fun. Continue to check back, more information will be added as it becomes available. To see more area shopping, dining and attractions, be sure to check out the Official Raleigh, NC Tourism site: VISIT RALEIGH. We look forward to seeing you in Holly Springs! During the NCBA DI World Series, fans not in attendance will have the opportunity to listen to a live play by play broadcast of the tournament games over the internet as well as real time statistical game tracker. Follow the LIVE Play by Play of each NCBA DI World Series Game featuring “The Voice of CollClubSports” Ryan Norris. Listen Here! Follow the LIVE Stat Cast of each NCBA DI World Series HERE. With Marucci signing on as the new “Official Baseball Bat” of the NCBA, 2019 will mark the first ever Marucci Longball Challenge. Last year saw Zach Broussely of Grand Canyon University becoming the 2018 DeMarini Longball Challenge Champion after hitting 3 homeruns in the final round to outlast Tommy Kim of the University of North Texas and Logan Walden of ECU. Even though Broussely took home the championship, Tommy Kim put on quite a show in the challenge hitting the most homeruns of any competitor. Tommy finished with 17 homeruns and walked off to a standing ovation in the first round after hitting 11. But in the final round, Zach hit 3 homeruns to Tommy’s 2 to claim the championship. Not only does Zach gets bragging rights, but he also gets to design and keep a custom DeMarini Bat. See the full results of the 2018 NCBA DeMarini Longball Challenge HERE. Download the NCBA DeMarini Longball Challenge Rules HERE. Applications to compete in the 2019 NCBA DeMarini Longball Challenge must be submitted no later than May 1st, 2019 in order to be considered. Download the MLBC Application HERE. Check out the history and results of previous DeMarini Longball Challenge results HERE.